Editor’s note: Cardplayer Lifestyle is proud to debut a new, weekly feature entitled “Strategy with Stas.” Each and every Sunday, we will bring you a new lesson in article + video format put together by Stas Tishkevich, founder of the Poker Fighter Training App. We invite you to “meet” Stas through the brief video and written introduction below. It is followed by Stas’ first poker strategy lesson. We hope you enjoy this new feature and would be happy for you to share these posts — as well as your feedback — on social media. Introduction: What am I trying to accomplish? 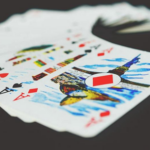 For many years I’ve been coaching poker, and the main thing I have understood is that this game is not an easy game to learn, especially when using conventional methods such as books, long videos, etc. Because of that, I decided that I would find a better, quicker path to learning and teaching the game in order to help anyone who wants to improve their own poker skills, regardless of their theoretical level and experience. 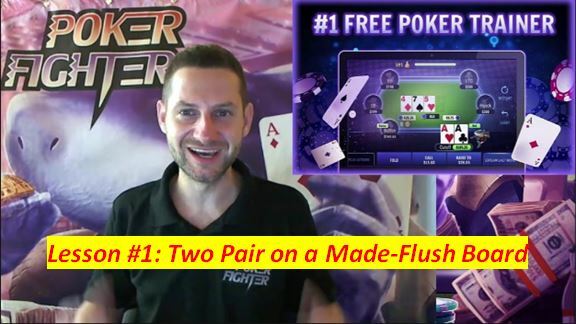 In order to quickly close the theoretical gap between amateurs and pros, I will use the Poker Fighter School, which is a free online poker school that offers short 1-minute analysis videos of various poker spots, from pre-flop until the river. But theory is not enough. In order to quickly close the practical gap between amateurs and pros I will use the Poker Fighter Training App, an advanced tool that helps you gather experience without risking any real money, while getting instant feedback and advice from professional players. I will be utilizing both of these tools in a series of short articles that will combine 1-minute analysis video along with a brief analysis text with my own thinking process, from the pre-flop up until the river. I will try to include elements of both a GTO approach as well as exploitative strategies so that you will learn how to adapt to various player types. 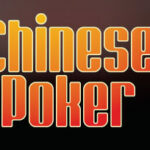 Let’s take your poker game to the next level! Action is folded to us and we see King-Queen offsuit at the dealer position. We will open-raise from this position at least 42% of possible starting hands, and King-Queen offsuit is at the middle of our opening range, so we should always open-raise this hand in this spot. 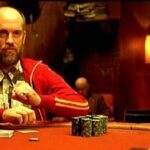 The small-blind calls, and now it’s time for us to think about the most important thing in poker – what is the opponent’s range, meaning what hands will he play like this. If we think the opponent is a loose-passive player type, as the majority of players at low stakes are, we can assume he plays like this mostly pocket-pairs (22-TT), suited aces (A2s-AJs), broadways (JT-AT, QJ-AJ, KQ), and maybe suited connectors (32s-T9s). Looser players can also call with low suited kings (K2s-K9s), suited one-gappers (42s-T8s), and offsuit hands like T9o, Q9o, J9o etc. We are ahead of this range with our King-Queen offsuit, and feeling pretty good about this spot given positional advantage and initiative. The flop comes AhKh5d and the small-blind checks to us. We need to decide between checking behind or betting our hand. If we want to bet we need to find a good reason, in this case betting for thin-value and protection. Betting for thin-value means we think that not many weaker hands will call our bet, but they still exist. We look for a call from weaker made hands (King with lower kicker for example), flush draws (T9hh for example), or gutshot straight draws (QJ for example). Betting for Protection means that we want to take down the pot now and look for a fold from hands that can still improve to a better hand than ours if we check the flop, such as pocket pairs that can turn into a set. vs. loose-passive opponents that on one hand tend to call too much, and on the other hand rarely bluff, our play should probably be betting for thin-value and protection. vs. tough smart players or loose-aggressive opponents, we should probably check behind for pot control and to induce them to bluff on later streets. We decide to bet, and choose a sizing of ~2/3 of the pot, as it is a draw-heavy flop and the small blind calls. The turn comes Qh and we face an interesting spot. Although our hand improved to two pair, the queen of hearts completes a possible flush, that our opponent can definitely have. Again we face a similar decision to the flop – bet for thin value and protection, or check behind for pot control and bluff-catching. vs. loose-passive opponents we should probably bet again for thin-value (getting a call from an Ace for example), and protection (making the opponent to fold a single heart, Jack or ten). We decide to bet, and choose a sizing of ~2/3 of the pot, as it is a draw-heavy board and the small blind folds. vs. tough smart players or loose-aggressive opponents, we should probably check behind the turn and call their river bet, or bet comfortable rivers for thin-value. The main point we need to understand here on the turn is that although we have two pair, our hand is only a medium made hand, and if we face a check-raise, our decision should normally be folding without hesitation.